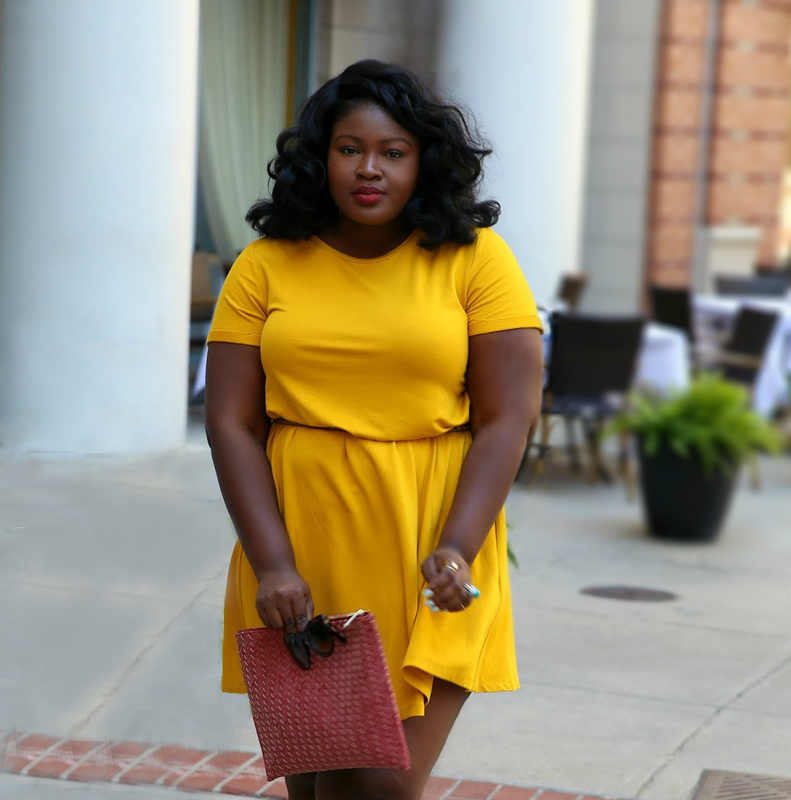 Hi Chicsters todays post is all about springs most notable trend Neon. As I said on Instagram I was kinda taken aback by this trend. Until this season I had a one track mind about it, however, it has emerged as one of the favored trends by street style stars and fashion “IT” girls alike. In the past when I thought neon I thought 80’s sportswear or club attire but if this season has thought me anything it is its versatility. 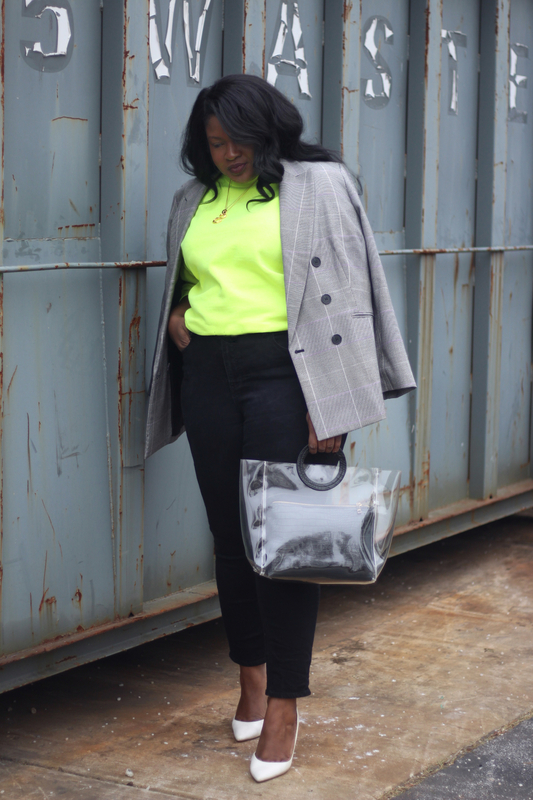 Neon pieces can be dressed up and down expect to find neon this season in unexpected places from evening wear to office attire. Neons go with Neutrals: neons pair well with all your neutrals. If you want your neon piece to be the focal point of any look pair it with cooler toned neutrals. Black, Blue, Grey, or warmer tones like beige. You can’t go wrong with Monochrome: pair your neons with lighter or darker shades of the same color for an edgy yet sophisticated take. For example neon pink pairs well with blush and a host of other colors in the red family. 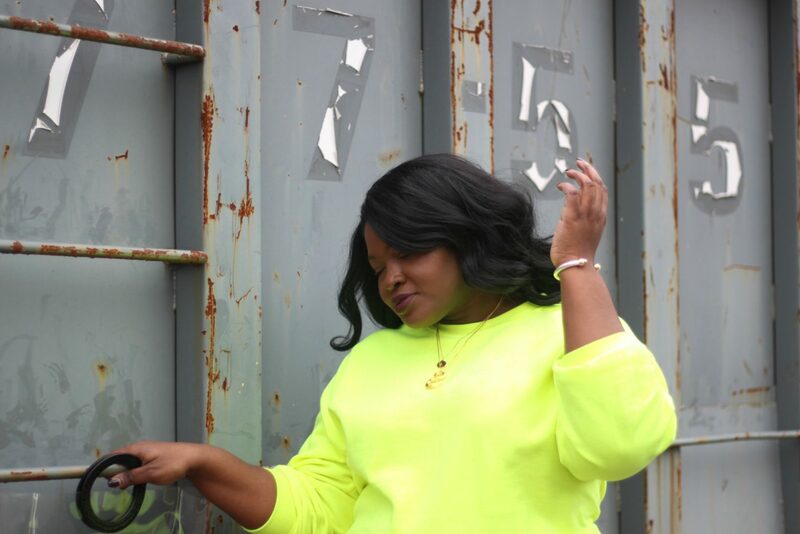 For this look I used the former tip I paired this oversized men’s sweatshirt that I scored for less $15 from Amazon with my favorite High waisted black jeans from Talbots. After wearing these jeans for several months I still really like them the only thing I’d tweak is the length/leg opening. 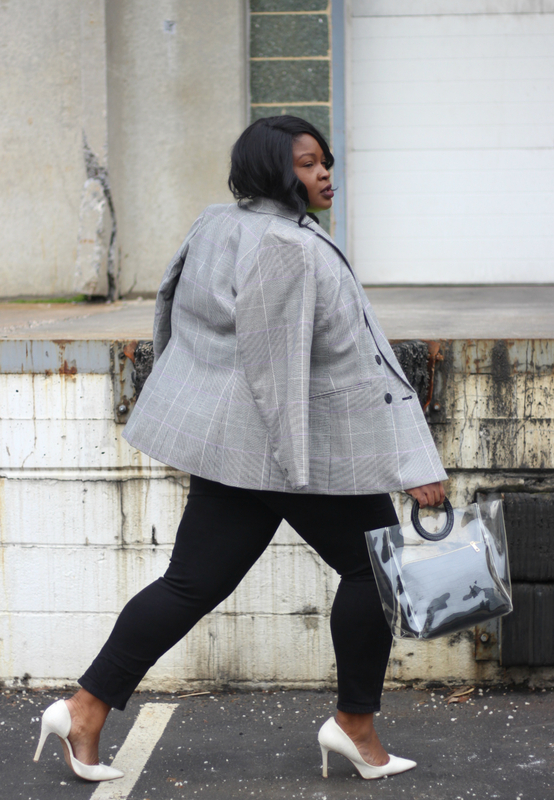 In keeping with the tip I topped it off with a plaid blazer, white pumps and a clear black bag completed the look. How do you feel about the neon trend? Are you for it or against? 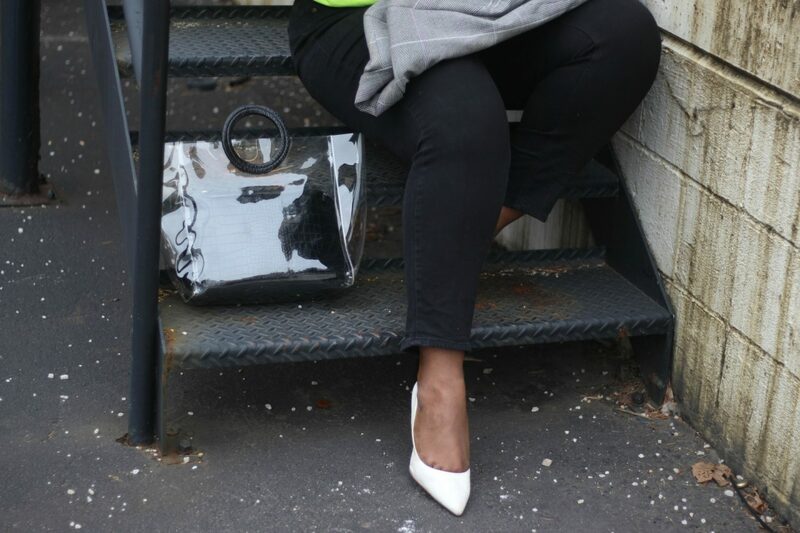 I got a comment from one of you on Instagram saying you would have never have thought to pair the look with white pumps. Black and neon green are very saturated colors when paired together they create a stark contrast. Having in between colors ( the grey from the plaid blazer & white from the shoe) help to balance out the composition. 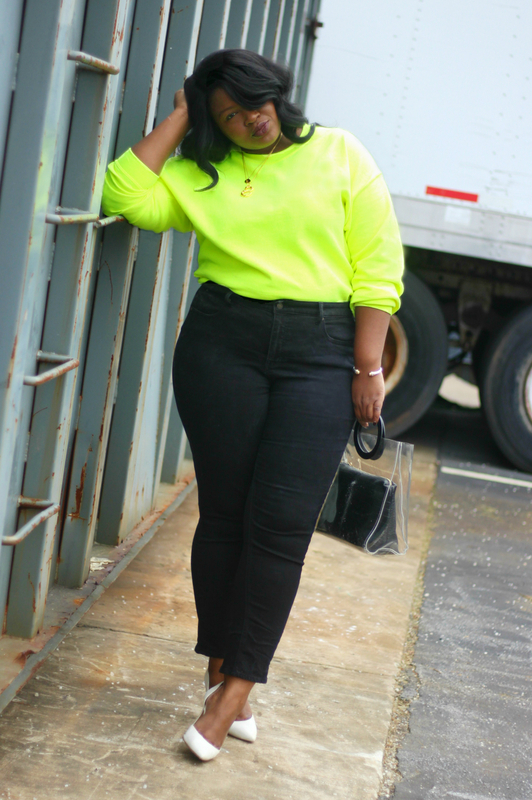 I Love this look on You and the neon top is right up my alley. Enjoy!